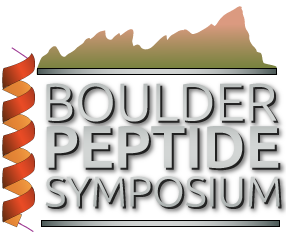 Phylomer peptide libraries have been screened for new cell penetrating peptides (CPPs) for delivery of macromolecules and nanoparticles into cells. A novel genetic screen known as the ‘endosome escape trap’ enables the isolation of rare CPPs which more efficiently deliver their cargoes to the cytoplasm. Some of these cell penetrating Phylomers can be targeted to particular cell types using receptor binding domains. We have developed a variety of functional assays to determine the extent of cytoplasmic delivery of peptide and protein cargoes to the cytoplasm or nucleus. One of these assays (a split-GFP complementation assay) which measures only those peptides and their cargoes which have escaped the endosome, has shown Phylomer CPP’s to be 37-160 times more efficient than the well characterized CPPs TAT and penetratin respectively. These functional penetrating Phylomers (FPPs) have been used to deliver peptides and proteins with mid-nanomolar potencies. Phylomer libraries have now been screened against transcription factor oncoproteins such as cMyc in order to generate high affinity cargoes for intracellular delivery using FPPs. The FPP delivery technology has also been applied for the more efficient delivery of protein toxins as drug conjugates.